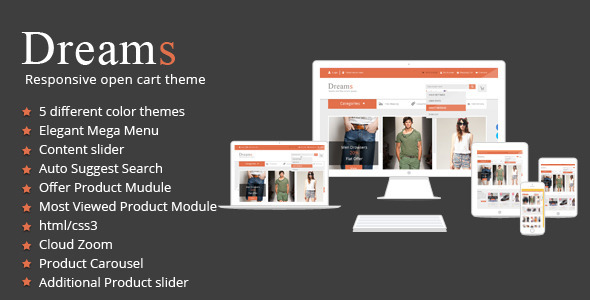 Dream is a unique Responsive Opencart e-commerce theme. Free Google fonts used. Well Documentation for installation, with installation guide. PSD files supplied – Just in case, because Dreams is pure CSS.